The oldest representative of the family Entelodontidae (suborder Suiformes), Proentelodon minutus gen. et sp. nov, is described from the Middle Eocene Khaichin Ula II Fauna in Mongolia. 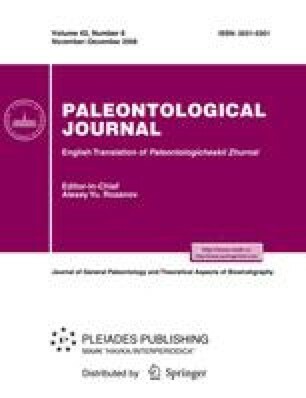 In addition to the genus Proentelodon, the new subfamily Proentelodontinae includes the genus Eoentelodon from the Middle-Upper Eocene of China, Mongolia, and Kazakhstan. The new data bring clues to the origin and systematic position of Entelodontidae, features of their evolution, dispersal, and changes in taxonomic diversity. They also elucidate the early evolutionary stages of Suiformes. Original Russian Text © I.A. Vislobokova, 2008, published in Paleontologicheskii Zhurnal, 2008, No. 6, pp. 69–80.